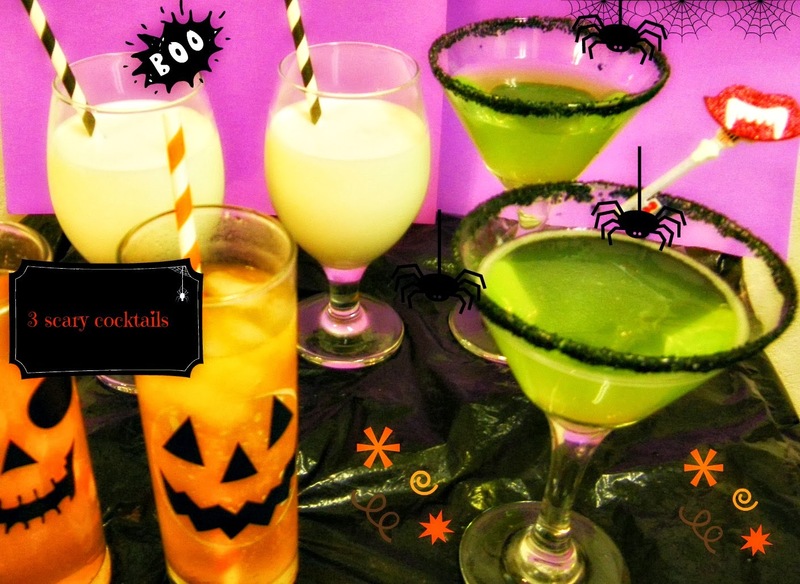 cooking the recipe: Halloween Party Drinks, BOOOOZE! Halloween is one of the funnest times of the year, not only is it the beginning of all the holidays, but you get to dress-up and be for one night any thing or person you desire! In a pitcher combine 2 cups of coconut flavored rum, 1/4 cups vanilla flavored vodka, 3/4 cups hazelnut liqueur and 1 1/2 cups half&half stir to combine serve chilled over ice. In a cocktail shaker filled with ice, combine the pumpkin purée, vodka, and apple cider. Shake for 10-15 seconds. Strain into a Collins glass filled with ice and top with ginger ale. These look so good. I'll have to turn them into mocktails. I don't think baby would appreciate the party. They are being featured on this week's Thumping Thursdays Blog Hop. Thank you for sharing.